Ben Robinson and Jimmy Mullen both progressed through Stage 1 of the Sunshine Tour Qualifying school in South Africa. Ben Robinson, 22 from Worcester won the event at State Mines CC with rounds of 72,70,67 and 70 for a 9 under par total. 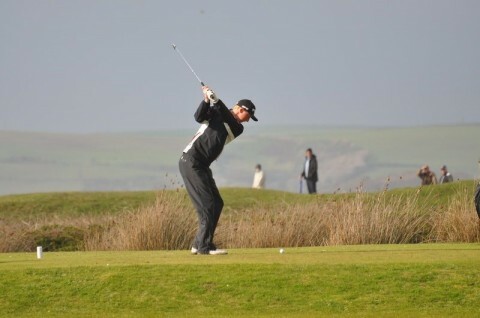 Jimmy Mullen who represents Royal North Devon GC finished on 2 under par for the event to qualify inside the top 10. The final qualifying school starts on March 19 at Rand Park, where there will be 30 cards available at the 5 round event. Jimmy Mullen has made a solid start to 2017, with a 6th place and a 4th place finish in Portugal, on the Algarve Pro Tour. Rounds of 67 and 74 in Jimmy's first event saw him finish 7th on 3 under par, and then in his second outing he shot 66 and 72 to finish 4th on 6 under. Fellow BlackStar golfer Chris Selfridge shot 72 and 68 to finish 5th in the most recent event. Ollie Farr produced a stunning best of the day round of 66 in the Swedish Challenge,but eventually lost out in a 3 way play-off with England's Ben Stow and the tournament winner Joel Stalter. After all three made par at the first play-off hole, the par four 18th, it was Stalter who raised his game, hitting an exquisite second shot for a birdie chance which he took full advantage of. Ollie now has moved to 21st in the Race To Oman, the top 15 at the end of the season gain full playing status on the 2017 PGA European Tour. Jimmy Mullen and Oliver Farr both finished on 11 under par and finished tied 12th in the Turkish Airlines Challenge on the European Challenge Tour. 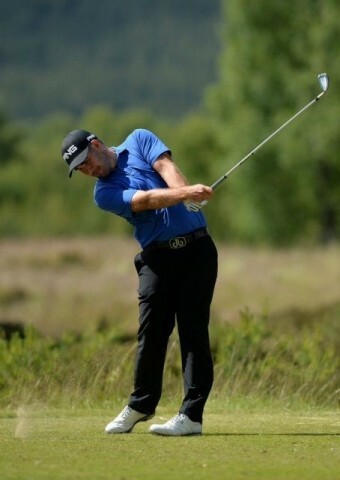 This week the Euroepan Tour moves to China for the Shenzhen International, where Michael Hoey returns to action. Jimmy Mullen, Chris Selfridge, Oliver Farr and Brian Casey are all playing in the Red Sea Egypt Challenge on the European Challenge Tour. Marcus Fraser, who currently leads the Asian Order of Merit plays in Japan on the Asian Tour in the Panasonic Open Golf Championship. The European Challenge Tour starts its 25th season next week at the Barclays Kenya Open at Karen Golf Club, just outside Nairobi. The tour consists of 28 events, finishing at the Road To Oman, where the top 15 players will graduate on to the 2017 Race To Dubai. BlackStar Golf will have 3 players on the tour in 2016. Oliver Farr returns to the Challenge Tour, having finished 10th on the rankings in 2014, Ollie hopes his experiances of 2015 on the main tour, will help him make an immediate return to the 2017 race To Dubai. 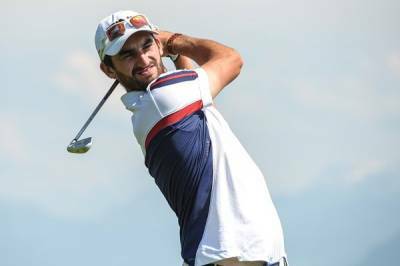 Chris Selfridge from Northern Ireland played a limited schedule on the Challenge Tour last year, having turned professional in May 2015 after graduating from the University of Toledo, he played 12 events, and didnt miss a cut eventually finishing 52 on the rankings. With last years experiance of playing some events, Chris is very much looking forward to his first full season as a professional. 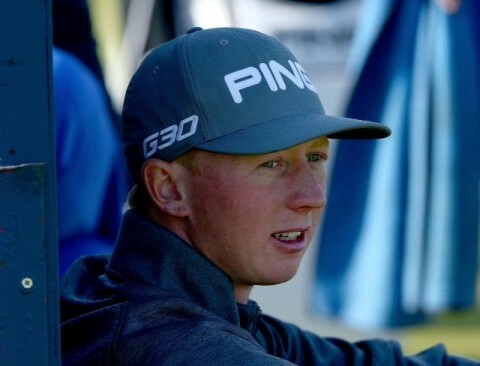 BlackStar's 3rd player is 22 year old Jimmy Mullen who was part of the 2015 victorious Walker Cup team, Jimmy joined BlackStar in October last year, and finished a very creditable tied 30th at the Dunhill Links Trophy. Jimmy eventually got to the Final Q School where he missed out on his full tour card, but became a full member of the Challenge Tour. Like Chris he is very much looking forward to his first full season as a Professional. Chris Selfridge continued his build up to start of the 2016 PGA European Challenge Tour in Spain at the recent Evolve Tour event in Spain. The 3 day event was played at the La Serena Golf Club, Chris shot rounds of 65-67-71 ( 13 under par ) to finish 2nd, two shots behind Liam Murray, the eventual winner. Chris has been out in Spain for 3 weeks practising ahead of the Kenya Open, which is the season opening event on the Challenge Tour, he said " I have been out here now for 3 weeks and have been working very hard on all aspects of my game, my game seems pretty good at the moment, but I am now just really looking forward to getting going on the Challenge Tour, this will be my first full season as a Pro "
The Kenya Open starts on March 17th, and Chris will be joined by fellow BlackStar golfers Oliver Farr from Burghill Valley GC and 22 year old Jimmy Mullen. Jimmy Mullen signs with BlackStar Golf. 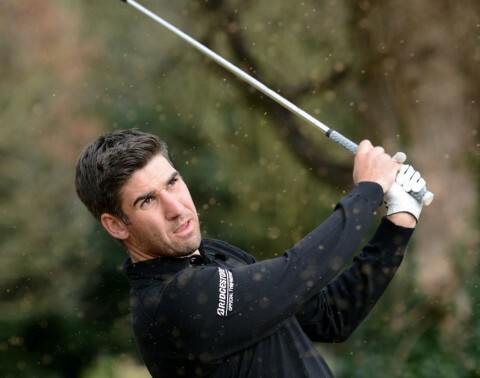 BlackStar Golf is delighted to announce the signing of Jimmy Mullen who makes his professional debut at the Alfred Dunhill Links Championship this week, October 1-4, 2015. 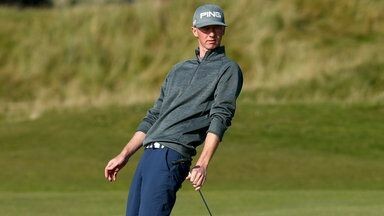 Jimmy, 21 recently won all four of his matches at the Walker Cup at Royal Lytham & St Annes Golf Club. In doing so he became only the fourth player from Great Britain and Ireland to achieve the feat and the first since Luke Donald and Paul Casey in 1999. 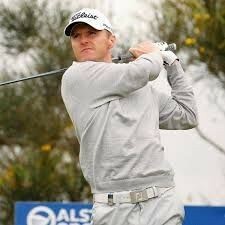 Jeremy Robinson of BlackStar Golf said: “We are delighted that Jimmy has chosen to join us. He has had a very successful amateur career culminating in playing such a significant role in Nigel Edwards’ winning Walker Cup team. I have followed his game closely over the last few years and hope we can help him achieve his goals as a professional”. Jimmy successfully came through the first stage of the European Tour Qualifying School last week, and after playing at St. Andrews will join several of his Walker Cup team mates at the Irish Challenge the following week. The Open Championship, Muirfield 2013 - T75th.